Music gets our hands moving, our feet stomping, and our hearts pounding. It allows us to be freely, without hesitation. 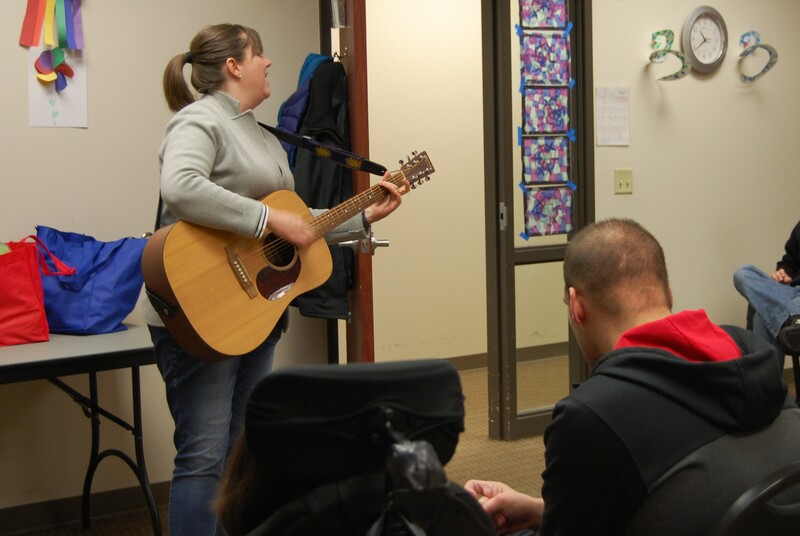 Our Adult Day Services program received grant funding through the Minnesota State Arts Board, which enabled them to bring on a music therapist from McPhail, Ranelle. I got the chance to sit in on their session, and there are no words to describe how lucky I felt to have the opportunity to see everyone rock out! It was truly amazing, an experience I cannot wait to relive again with our group at ADS. Ranelle comes to our ADS location every Tuesday between 10:30am-11:30am. 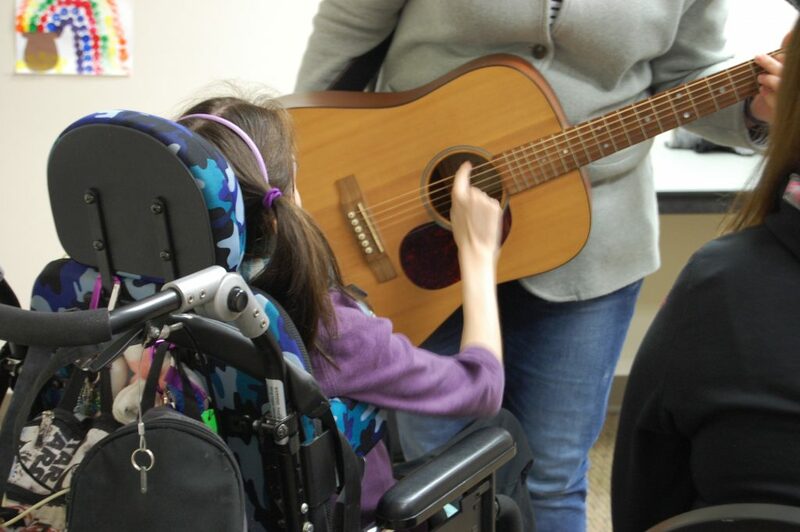 She brings along her guitar, her bag of musical instruments—which is everyone’s favorite part—her singing voice, and her books to end the session. To say everyone gets excited would be an understatement. 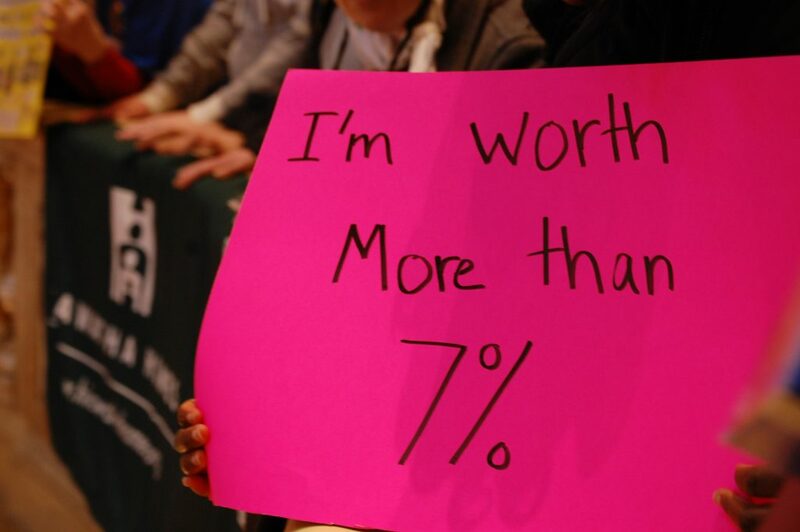 Before we began, Stephen said, “I can’t wait,” and David had the biggest smile on his face! 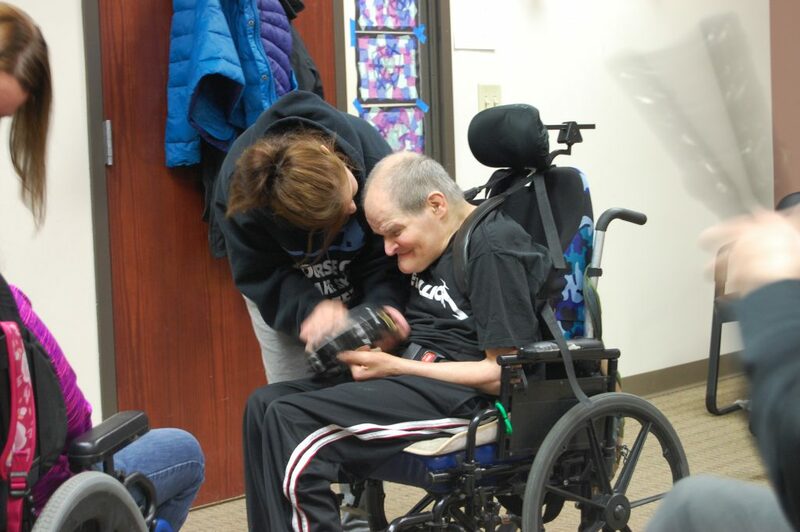 His smile got even bigger when she brought out her instruments for all to use. We started with “Hello, Goodbye” by The Beatles. Which, honestly, there is no better way to begin. We then said hello to everyone in the room. 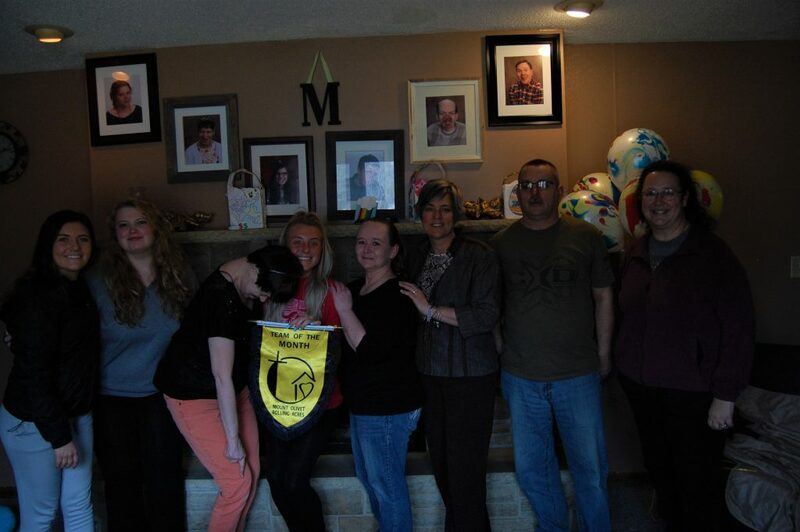 We started with Talia, Katrina, Sarah, Stephen, Jen, Rachel, Ashley, Noel, Mikey, Matt, David, Sam, Christina, and Ranelle. 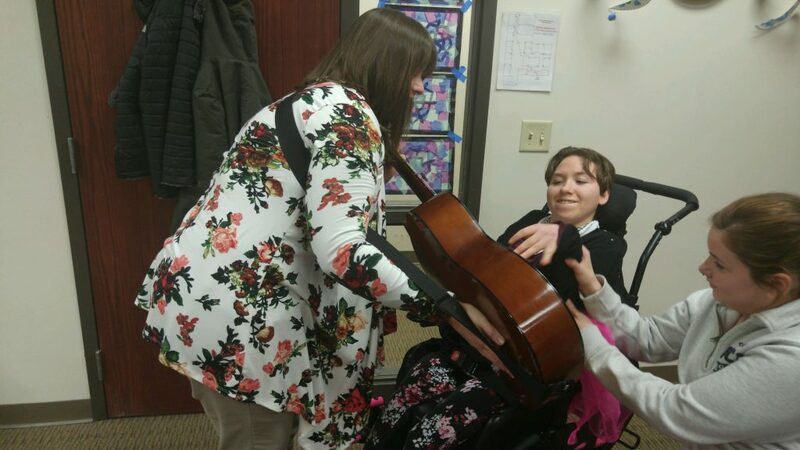 Each client had the chance to strum on Ranelle’s guitar, and everyone was more than excited and took advantage of the opportunity. 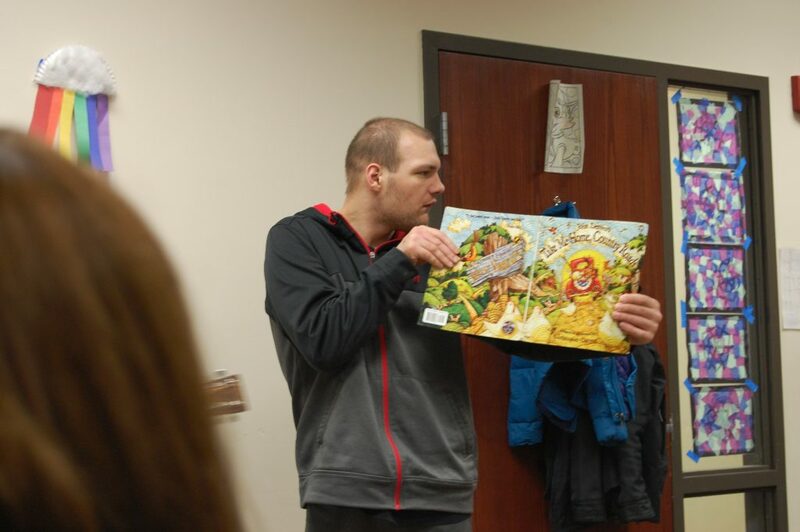 We ended with singing along to the books “One Little Two, Little Three, Little Apples” and “Take Me Home, Country Road.” Stephen helped Ranelle out by holding the book for us all to see and sing along with while she played. We clapped, we sang, we swayed back and forth, enjoyed the music, and listened to the different sounds of each instrument. 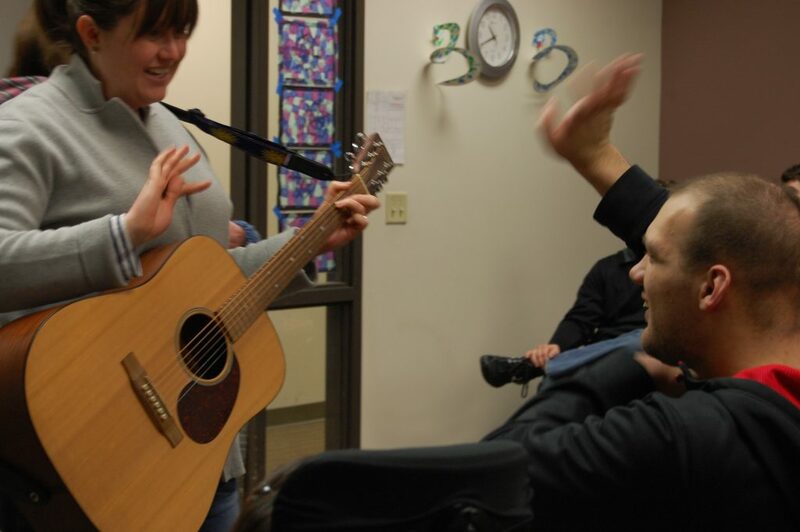 You can see just how important music therapy is to each client. They listened, they sang, they danced, they participated, and were eager to strum the guitar or to have their very own solo. I cannot wait to go back! Thank you to the Minnesota State Arts Board and to McPhail for giving us this really fun, moving experience!